Cookout season is finally here, and with it comes the heavenly aroma of fresh air and food sizzling on the grill. While you may be inclined to reach for the classic beef burger, but there are tons of lighter, veggie-based options that are sure to satisfy your burger craving. Take a bite into this tasty meat-free recipe! Cut corn tortillas in half, then cut each half crosswise into strips. Bake straws on parchment-lined sheet pan. Bake for two minutes or until golden, then set aside to cool. In the meantime, preheat a char-grill to medium. Cook frozen black bean burgers for four to five minutes on each side or until the internal temperature reaches 165 degrees. lettuce leaf, one black bean patty, two tomatoes and two tablespoons of the crispy tortilla strips. 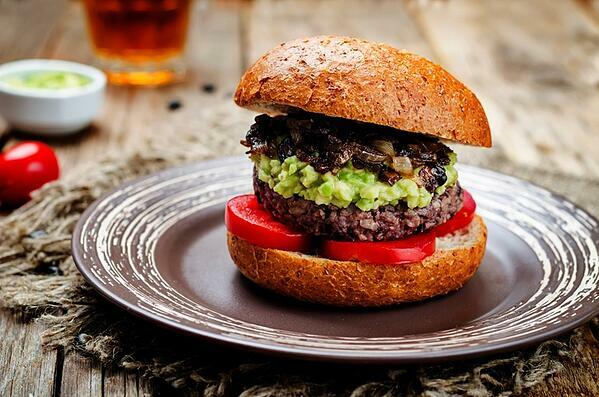 Serve warm and enjoy this burger alternative!